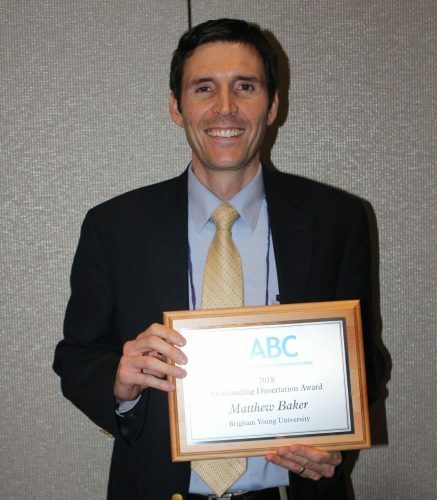 Matthew Baker, a PhD graduate in the Rhetoric and Professional Communication program, won the Outstanding Doctoral Dissertation Award earlier this year at the Association for Business Communication’s 83rd Annual International Conference. This award is presented annually to the outstanding dissertation or thesis in the area of business communication written as part of a doctoral program. Matthew’s major professor was Jo Mackiewicz. He is currently an Assistant Professor of Editing and Publishing in the Department of Linguistics at Brigham Young University.